A lot of athletes have their parents in the stands for their games, but how many get a haka performed for them? 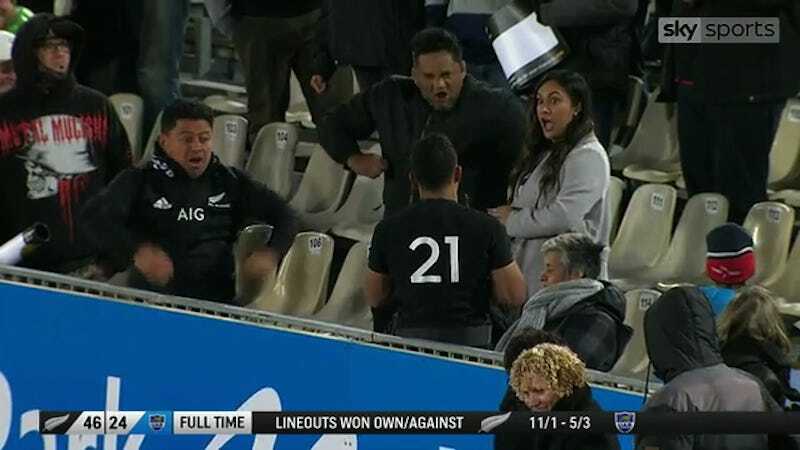 New Zealand rugby union player Te Toiroa Tahuriorangi made his debut for the All Blacks in Saturday’s 46-24 win over Argentina, and his father, father-in-law, and partner treated him to a special version of the team’s pre-match challenge. “For them to make the trip all the way down from Rotorua, it just makes the debut extra special. It was just an awesome feeling. To get that kind of haka just personifies where I come from, a little area where not much people make it out. I’m carrying all my whanau [extendd family] from back home.” he said. Who Bugged The New Zealand Rugby Team?